According to the latest Urbis Gold Coast Apartment Insights report, the Gold Coast’s coastal fringe precinct is likely to be the newest place for apartment development going into the New Year. The fringe, which spans from Arundel to Varsity Lakes and centres on Benowa and Ashmore, has 1,094 apartments approved or underdevelopment applications. This new apartment area will overshadow the current precincts of Southport, Broadbeach and Surfers paradise that has 1,054 units. 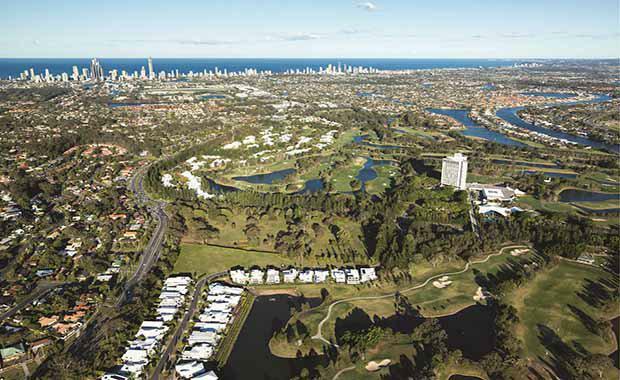 A large partition of the future land development for the coastal regions is to be attributed to some major developers including Rayjon, The Howard Group, Urban Construct, Shino Group and Minamarc, who have released some of the last Gold Coast broad hectare land. Urbis research analyst Lynda Campbell said that up until now, these development companies held onto these spaces, waiting for the right market conditions before unlocking the development potential. “Most of the Gold Coast's broad hectare land supply sits at the northern end of the city and within the coastal fringe - everything else along the coastline is essentially infill development,”Ms Campbell said. Ms Campbell also said that due to the larger spaces of Gold Coast development sites, it could be expected that the apartments will be bigger, with recreational spaces and amenities in the one neighbourhood, similar to those found in newer Brisbane suburbs. The Urbis report has shown that the coastal fringe is proving to be one of the most popular areas for people looking to buy apartments. The coastal fringe showed a rise in sales over the past quarter, going up by 19 sales. The southern coast and Tweed also picked up an extra six sales, with the north shore and central precinct dropping by 58 and 18 sales respectively. The coastal fringe also proved to be one of the more affordable areas, with the average apartment price being $507, 143, compared to the Gold Coast’s current average of $812, 045.